Hello Wench: My First Subscription Box! Truthfully, I never understood what all the hype was about subscription boxes/bags every month. I've been eyeing an ipsy subscription for awhile, but I never got around to buying it. Especially with money about to be tight in my household with Black Friday around the corner and our bills seeming to get larger and larger. I finally caved though on this month's Loot Crate though - it was Battle themed and Chris and I were watering at the mouth to see what was in it. 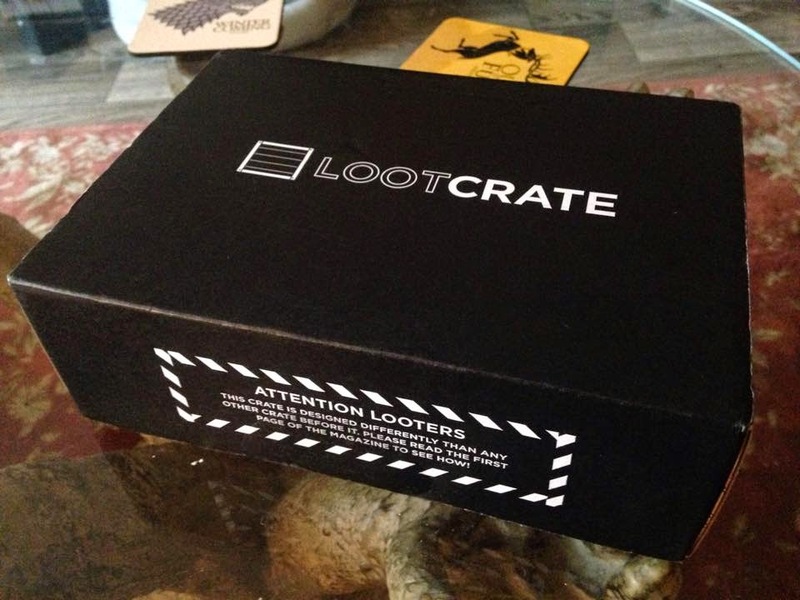 If you don't know what Loot Crate is: It's a monthly subscription box for under $20 filled to the brim with stuff for geeks and gamers. We caved and ordered this months, and it finally arrived on Saturday 11/22. The box itself is awesome looking, sleek black and pretty sturdy. Protecting all the geeky goodness inside. The box is actually a diorama and you can play with/display it if you want! 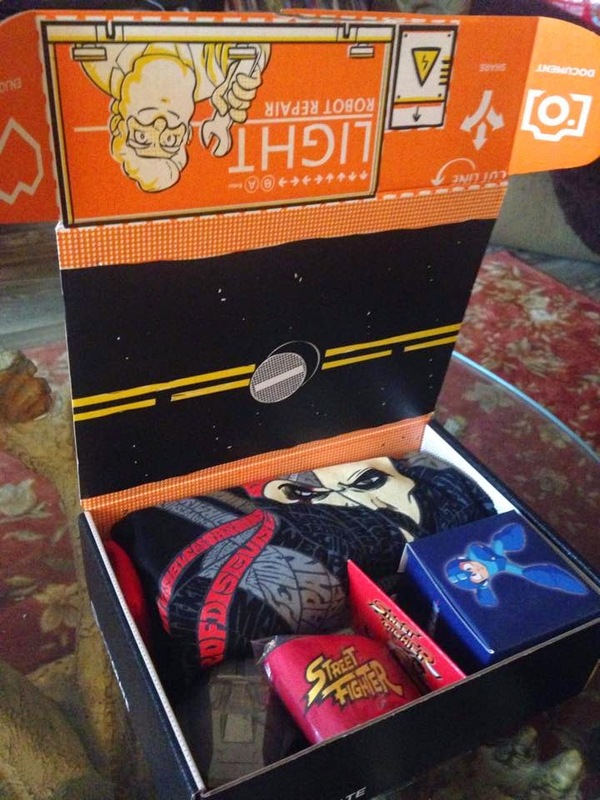 We opened the box and the first thing we noticed was the street fighter headband. And of course Megaman. 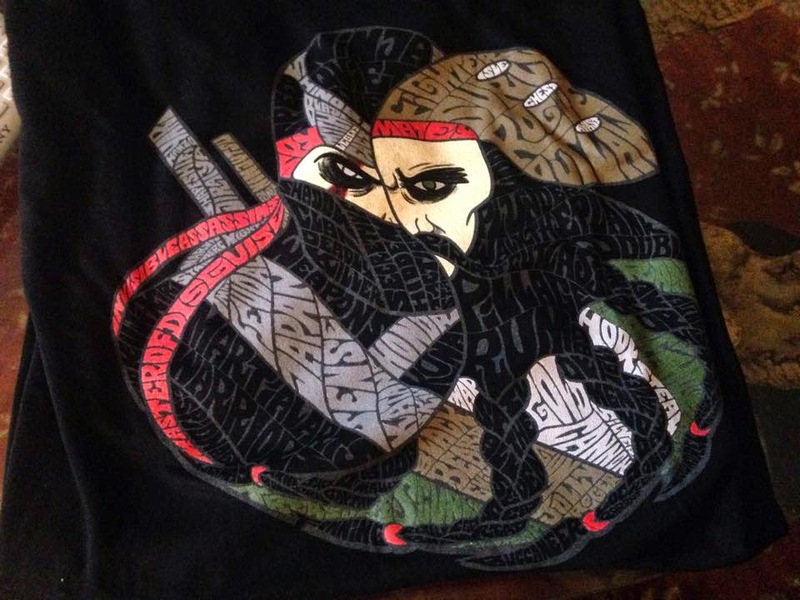 I think we may have to battle it out for who actually is going to own and wear this t-shirt. I may just be stealing it from time to time. The next item we noticed was this little grenade looking thing. I recognized it almost immediately because it was in Halo ODST and is a drop pod for Spartans. It is actually a Mega Bloks UNSC ODST Metallic Series. It is no longer in production, and comes with a little Spartan figure for you to put together and display as you see fit. I actually have a few of these already because my brother and I like to put them together. In the Megaman box was a display piece of Megamans helmet. It comes in all colors, but Chris was seriously hoping for Blue. When he opened it he was more than happy when it was the blue one! There was also a cool Assassins creed coin that has space for your name to be engraved in it. Also included were a few game codes (valued at over $20) and a coupon code to get a game 50% off. The little Battle booklet has pop out figures that you can place in the diorama and is so awesome! *Please note: I was not paid for this review, I was not given this box for free. I bought and paid for this box/subscription with my own money. 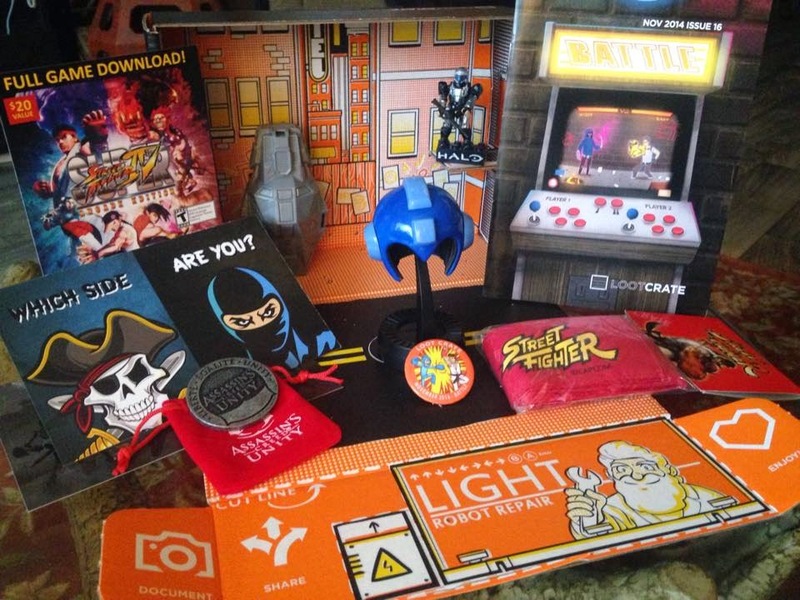 This is a sincere geeky review on an awesome subscription box that I have enjoyed. I'm glad you enjoyed it! I am always seeing ipsy, birchbox, & meme box I thought it was different and refreshing than the mundane! P.S. Your brother would probably love it! Haha!